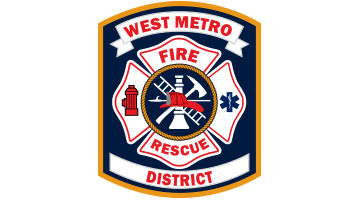 The West Metro Fire-Rescue District was formed in 1998 under a Joint Powers Agreement authorized by Minnesota State Statute 471.59 by the Cities of Crystal and New Hope, Minnesota. The District was created as a mechanism for the two adjacent cities to share resources in order to provide fire and emergency services more effectively and cost-efficiently. Our response area is 11-square miles nearly bordering the City of Minneapolis. Our resident population of 42,490 includes 3 major nursing homes and several large apartment complexes that are primarily occupied by senior citizens 65 years and older. We protect schools and day care facilities for children of all ages. Our weekday population is between 60,000 and 80,000 due to a large number of industrial facilities in the District. We have 3 fire stations and an authorized strength of 66 Paid, on-call firefighters and 7 full-time. We provide an all-hazards response to the cities we protect including fire suppression, emergency medical care, vehicle extrication, water and ice rescue, technical rescue, hazardous materials response and mitigation, airport crash-fire-rescue, and disaster management. We provide full service fire prevention through code enforcement and public education. See how our three stations serve the residents and businesses of Crystal and New Hope. Schedule a station tour. The West Metro Fire-Rescue District Board of Directors is made up of seven members. Find out more about the next Fire Board Meeting and Board members. Inspections and code enforcement are critical components to our fire protection and prevention services. Join Us For The July Board Meeting! Visit The Fire Board Page For More Information. Join Us For The April Board Meeting! Visit The Fire Board Page For More Information.